WELCOME! 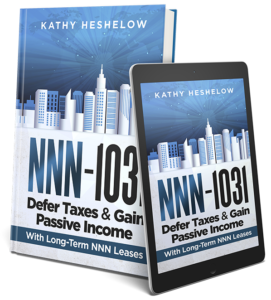 KATHY’S NEW AUTHOR-ONLY SITE WITH BLOG IS FOUND HERE! The New Series Began in late March 2017 (the “Sublime Wellness Lifestyle Series“), books of about 50 to 105 pages each, focusing on one subject and easy-to-read. 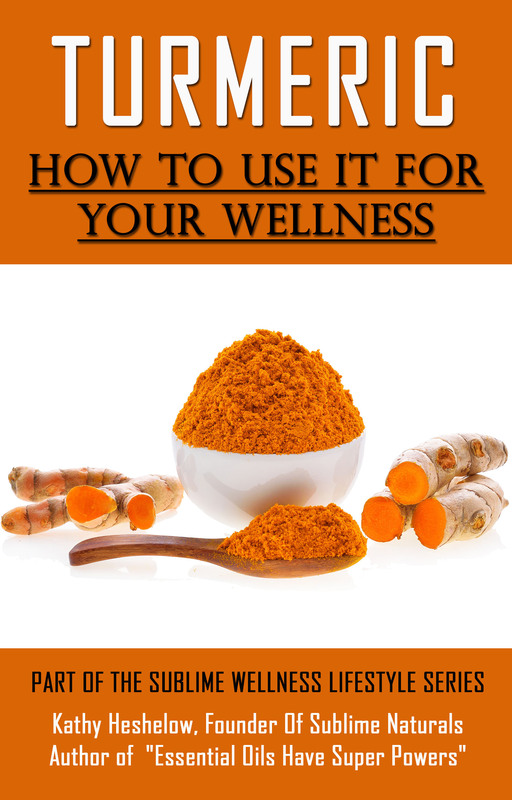 The first book is on Turmeric, the second on Secrets to a Better Immune System, the third to appear was on Sugar Cravings and How Essential Oils Can Help. 7 more subjects are planned for 2017 including more on essential oils and a book on Aging Well. Her “Essential Oils Have Super Powers Series” features 4 books on various aromatherapy subjects, following the 357 page paperback with the same title. Kathy is working on Audible recordings for all the books as well – the Turmeric book is now on Audible! 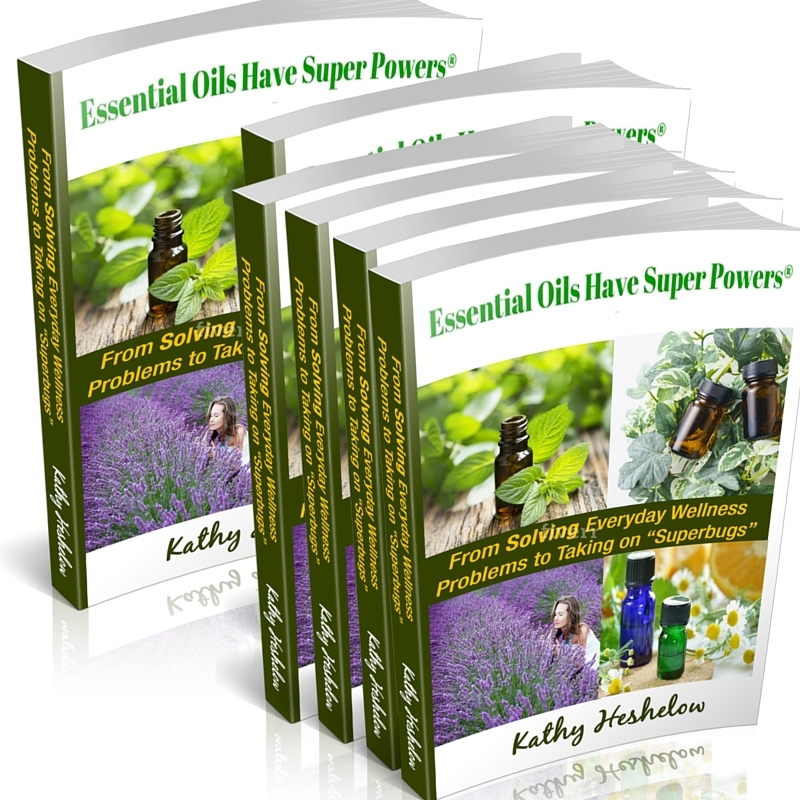 “ESSENTIAL OILS HAVE SUPER POWERS: From Solving Everyday Wellness Problems with Aromatherapy to Taking on Superbugs” 355 page book encompassing the essential oil world! This book is going to also appear in a series format with some audio books, starting April 2017! 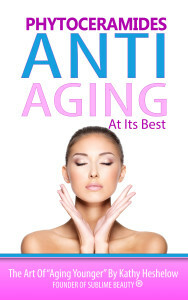 PHYTOCERAMIDES Anti-Aging at its Best. This one will appear in Audiobook format in 2017. Phytoceramides are simply natural plant ceramide pills that are taken to replenish your own diminishing ceramides. We lose ceramides in the skin with age (like collagen and other important elements). Ceramides plump, protect collagen, retain moisture and so much more. This book explains the ins and outs. An Amazon Review from “Vision Quest“: Have you ever wondered why Japanese women look so much younger? They may have a secret! I first saw Phytoceramides on the Dr. Oz show. 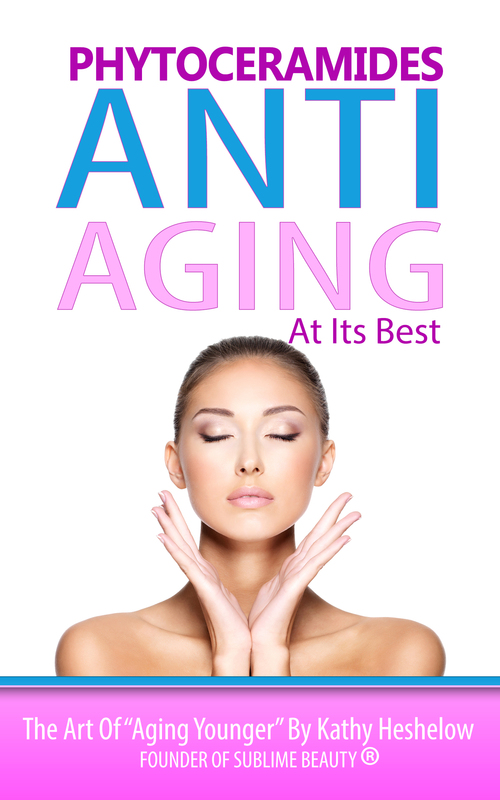 The dermatologist Dr. Oz was interviewing talked about several leading anti-aging products and this is one she highly recommended. When I saw this book, I thought I’d find out more … and indeed I did. Phytoceramides are not an ingredient in a skin cream but are capsules or pills that work on skin health from the inside out. The author Kathy Heshelow discusses how Phytoceramides were developed and cites numerous clinical trials. Then she shows how Phytoceramides work, with an easy to understand explanation and with loads of great illustrations. I especially found the diagrams showing the difference between young and old skin to be very informative. No wonder us older folks have wrinkles! KATHY’S NEWEST BOOK! 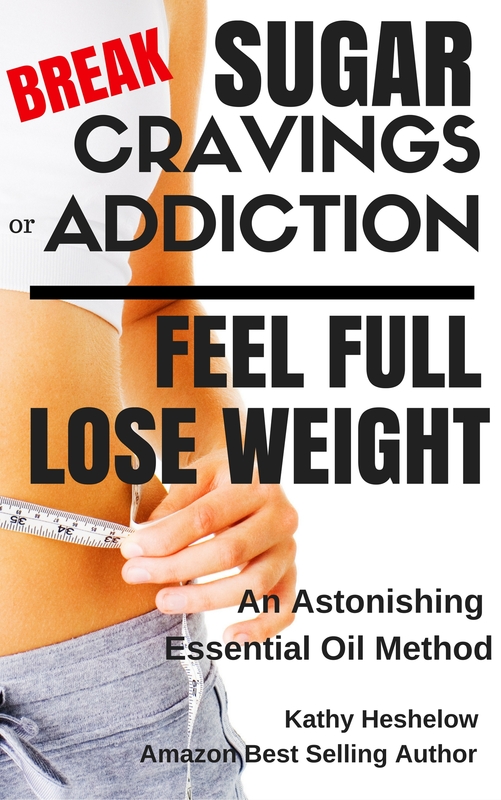 Break Sugar Addiction, Feel Full, Lose Weight. An Astonishing Essential Oil Method. Available in Kindle and paperback. 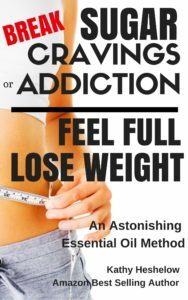 Discover startling facts about sugar in the U.S., why many are addicted or get cravings – and a proven method to get control. 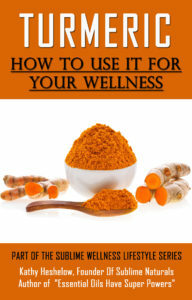 The book includes action steps, clinical studies, and easy-to-read language. Diabetes, a rare disease a century ago, is out of control now, with 1 in 11 Americans suffering from it. This is just one of many facts you will find in the book. The purpose is to help be aware of what is going on with sugar and how to be healthier. A free offer of tools inside the book as well! Get it here. An Amazon Review: Thank you for sharing this knowledge. I have been adding tumeric with pepper, ginger, and thyme on top of my soft boiled eggs every morning and have found it to help with my arthritis pain. I also take it in supplement capsule form. I am a 64 year YOUNG woman and want my added hears of life to be healthy and active. I appreciated having this information validated. An important subject affecting us all. Superbugs are becoming stronger and more resistant to our antibiotics, which poses a serious threat to our health. 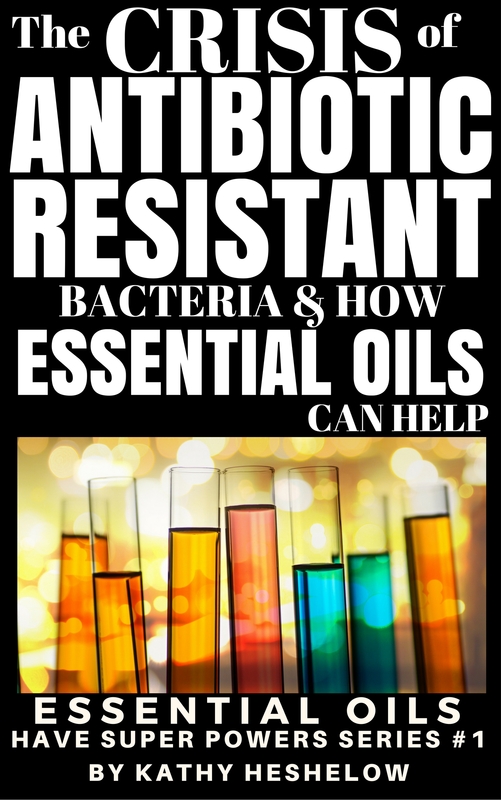 Essential oils, inherently antibacterial, have an important role in dealing with this crisis. Read about the research, actual hospital cases (patients saved from amputation by essential oil treatments), and amazing studies – plus an overview of the situation. 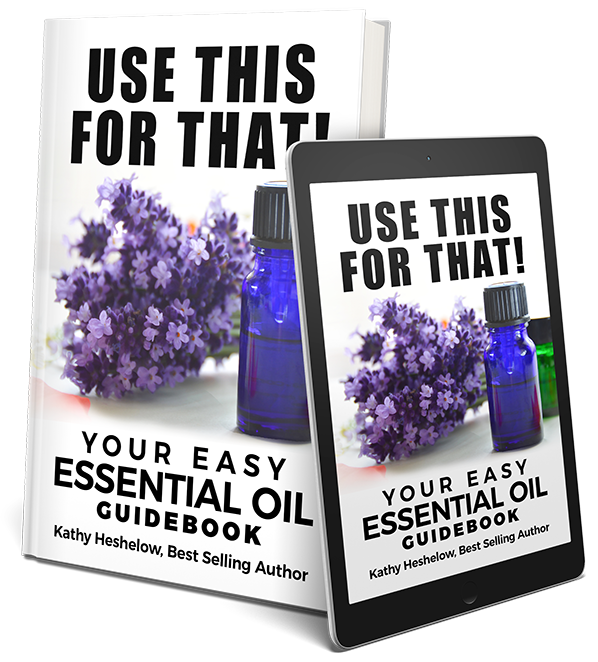 Having successfully used one or two essential oils over the past several years to homeopathically treat some minor irritations, I am excited to read Kathy Heshelow’s book that presents hope to a very serious problem our world population faces. 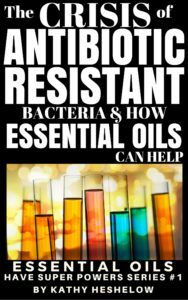 The information the author presents provides hope and the potential for a broad use of essential oils as a viable means to reducing the on-going use of antibiotics — one of the sources of most of our health issues. 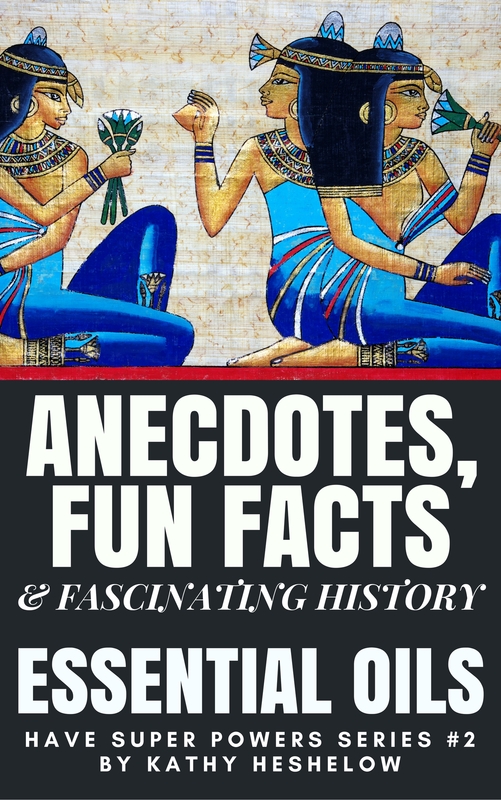 Kings and queens, writers and philosophers, pharaohs and traders, scientists and thieves – all have a story in this easy-to-read and enlightening book. 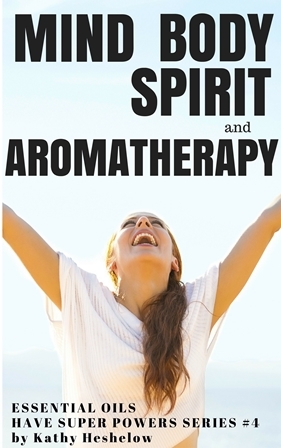 You learn so much through the centuries about essential oils and aromatic plants. An Amazon Review: As an aromatherapist who loves fun facts I was immediately drawn to this little gem of a book. And I’m glad I was! 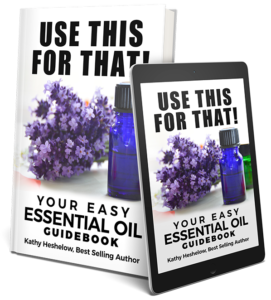 It was great to read about the various stories of old about essential oils and their uses. I loved reading about the origin of the Four Thieves blend! … Definitely a book that does what it says on the cover – well worth a read. NNN-1031. 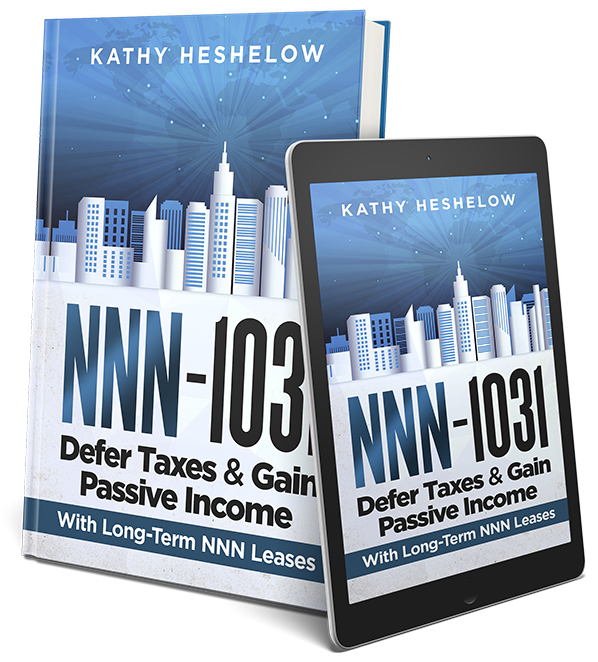 DEFER TAXES & GAIN PASSIVE INCOME with LONG-TERM NNN LEASES. EFFORTLESS CASH FLOW: The ABCs of TICs and ABCs of DPPs, were previously published in the early 2000s, only in book form. Effortless Cash Flow was covered by the New York Times, Wall Street Journal and other press. I have published various articles in magazines over time, including this one about Skin Brushing in Urbanette Magazine.